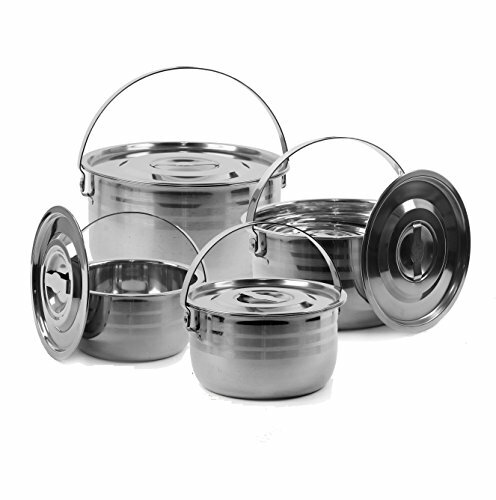 Enjoy life off the grid with this hefty stainless steel pot set! PRACTICAL:Get all the perks of expensive overpriced cooking sets with this all in one, rugged camping kit. Cleans easily and compliments your existing cookware utensils and décor. It makes a great gift set for loved ones who live for the great outdoors.